[The believers should not all go out (in the path of Allah ) together. Knowledge is power’. How many times in our lives have we heard this phrase ? How many times have our parents, teachers, elders stated this same thing over and over again. This quote by Sir Francis Bacon emphasizes that when you have knowledge you have authority. It alludes to the fact that there is something about acquiring knowledge that gives you possession of controlling influence. But more importantly, I would like you to note that this is a non-Muslim phrase (not said by some Muslim scholar) which has only been around since 1597. The intention of this article is not so much to remind you the importance of seeking knowledge. 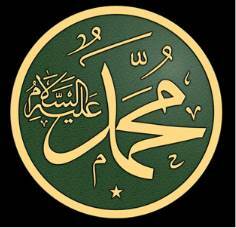 It is assumed that the readers understand that as Muslims we have been commanded to seek knowledge. The main goal of this article is to provide you with the motivation to continue to seek Islamic and take joy and pride in doing this act of worship because we can understand from various Quranic statements and ahadith (statements of the prophet (saws)) that , there are definite returns for these efforts in form of reward and blessings from Allah (subhana wa ta’ala). Let us take a hypothetical scenario where YOU work for a reputable company and one fine day your boss entices you with a promotion upon completion of a certain project under your lead. I can guarantee you that you would put your heart and soul into it to get that promotion. Well! Allah wants to give you promotion, not just in this duniya but in jannah! Scholars agree that the term “high ranks” in this statement refer to bounties in this world and the hereafter. Just because the promises of jannah are intangible at the moment should not let us ignore such a huge blessing of seeking knowledge. We have to believe in the ayats (verses, signs) of our Lord. When Allah (subhana wa ta’ala) taught Adam (as) the names of all things, He asked the angels and Iblis (who had reached the level of angels) to prostrate to Adam (as). I remind you that angels are pure creations of Allah (subhana wa ta’ala). They are made of light, in complete obedience to Him and are doing tasbih (saying subhan Allah) at all times. Such a pure creation of Allah (subhana wa ta’ala) was commanded to show respect to our great great great … grandfather, Adam (as) who was made of clay and was prone to sinning. This prostration as a form of respect took place based on one and only one factor i.e. knowledge. Scholars agree that this ayah is actually referring to all people of knowledge (and not just the scholars). People of knowledge who read/learn/understand the Quran are the ones who truly understand the parables mentioned in the Quran. The parables mentioned in the Quran are important in telling us which actions are harmful to our aakhira and hence, they should be avoided. They also guide us in which actions are more rewarding than others and hence, we should strive to do them. As children we are always looking for signs of love for ourselves from our parents. If a parent buys gifts for their child the child is assured that his/her parents love him/her. Love and compassion from parents makes a child feel ecstatic and special. Allah SWT tells us through the Prophet SAW that if He loves us He gives us understanding of the religion of Islam. The difference is that love of Allah is far greater than anybody’s love. 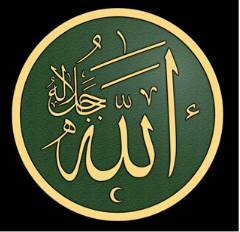 Love of Allah SWT (subhana wa ta’ala) is the ultimate goal of this life. However, this love does not come without striving, trying hard and putting in a lot of effort. You have to earn the love of Allah SWT (subhana wa ta’ala) by striving to gain Islamic knowledge – even if there are not many resources around you, even if the knowledge seems hard to retain, even if there are many distractions around you. This statement holds the obvious meanings of how much Allah SWT (subhana wa ta’ala) loves for a person to seek Islamic knowledge but it also a much deeper implication. 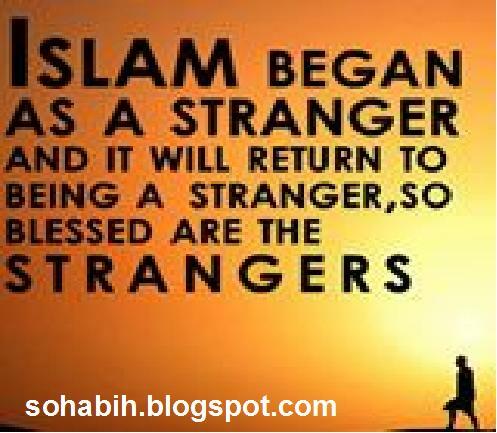 The process starts off by gaining knowledge that is absolutely essential for a Muslim to perform their obligatory deeds. Once a person gets accustomed to performing obligatory deeds and do not find them burdensome anymore then because of the impact of knowledge they will automatically do acts that are more than obligatory. Let us take an example of a sister who finds is hard to pray two sunnah raka’hs (units of prayer) at the time of fajr. She skips sunnah raka’hs and prays the obligatory units quickly and jumps back into bed. She takes a class where she learns of the great blessings of praying the sunnah units of fajr prayer. After gaining knowledge she made it a point not to miss her sunnah units of prayer. “If anyone travels on a road in search of knowledge, Allah SWTwill cause him to travel on one of the roads of Paradise. The angels will lower their wings in their great pleasure with one who seeks knowledge, the inhabitants of the heavens and the Earth and the fish in the deep waters willask forgiveness for the learned man. This hadith outlines multiple blessings of seeking knowledge but we will concentrate on two main benefits. The two main benefits of treading on the path of knowledge are the protection of angels and the du’a of the creatures. Angels provide protection in two ways: they lower their wings for a student of knowledge i.e. they allow the student of knowledge to walk over their wings (much like a red carpet!). Also, the angels out of respect for the student of knowledge stop flying until the student has passed them. Allahu Akbar! Once again I would like to remind you the purity of the creation of angels but knowledge allows us to gain a higher rank in the eyes of Allah SWT (subhana wa ta’ala). The inhabitants of the heavens and the earth make du’a for the student of knowledge. This includes the du’a of the angels and all creatures on this earth including ants and all the fish in the sea. This is a great honor for children of Adam ! Striving for knowledge is one of the best deeds you can do to attain mercy of Allah (subhana wa ta’ala). This is a beautiful statement by Ibn Hazm (ra). The direct implications of his statement are obvious. Possession of knowledge will save us from humiliation of being dominated by the commands of ignorant people. Moreover, possession of knowledge will save us from much distress of having no access to reliable and authentic information. Furthermore, possession of knowledge will give us joy of knowing that which others do not know. Correct knowledge allows us to worship our Lord in a better manner, a manner which pleases Him. Once we have the knowledge, we will become even more pleased with its advantages and benefits in our lives. This would deepen our desire to increase in knowledge. It is a sweet vicious cycle which takes initial effort and indulgence and once we taste the sweetness of knowledge we will get addicted to it. There is a disagreement about the above statement. 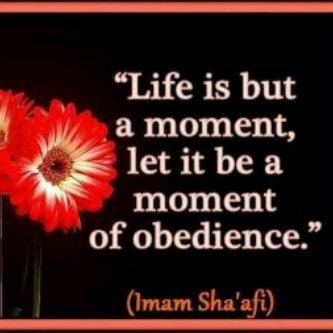 Some say this is a hadith and some say it is a statement of Ali (ra). Either way, we concern ourselves with the beneficial message of this statement. We have a choice in this world. We can either get addicted to duniya (Reminder: We will leave duniya after 60-80 years of life and leave everything of duniya behind ourselves). The other option is that we could get addicted to seeking knowledge (The benefits and blessings of seeking knowledge will reap heavy rewards on the Day of Judgment). The path of this duniya leads us away from Allah SWT (subhana wa ta’ala) and the path of knowledge leads us towards Allah (subhana wa ta’ala). Likewise, the path of this duniya destroys our hereafter and the path of knowledge secures our hereafter. The choice is entirely ours. When should you be jealous of others ? This hadith alludes to the etiquettes of seeking knowledge (a topic we will discuss in later articles in much greater detail in sha Allah). Prophet (saws) said in this hadith that you should not get envious of others for anything other than two things – one of them is knowledge. Observing other people with the knowledge of Quran and sunnah should make you feel envious and the idea is to use this feeling of jealousy to create avenues to gain knowledge. This hadith does not imply that we question Allah why He made the other person knowledgeable and why we weren’t given similar knowledge. Instead, we should ask Allah to make us learned in our deen. I hope this article has served as a motivation to continue to keep seeking knowledge because of the numerous benefits and blessings associated with it. Seeking knowledge will help us appreciate our deen, make better our connection with Allah (subhana wa ta’ala) and allow us to find solutions to our problems from the Qur’an and sunnah to simplify our lives.